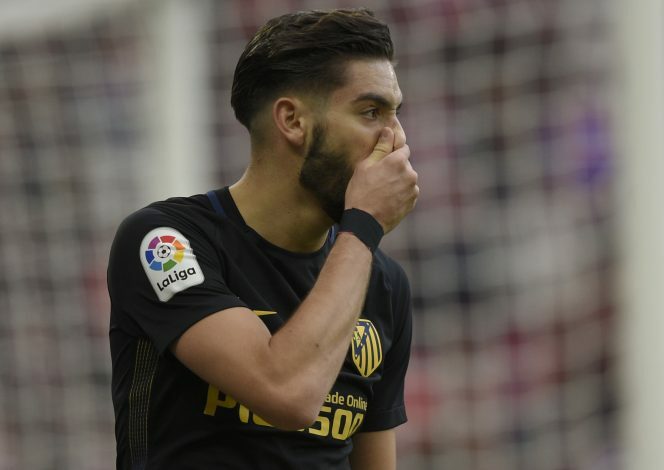 Jose Mourinho is set to spend big to try and get Atletico Madrid superstar Yannick Carrasco to Old Trafford this summer. The Belgian international is one of the most exciting stars in the La Liga, and has been in excellent form this season at the Vicente Calderon. The 23-year-old moved to the Spanish capital in 2015 from AS Monaco, and has established himself as a first-team star under Diego Simeone this season, helping the club to some important victories in the campaign. His form saw him earn a new contract just last October, as Atletico look to push potential suitors away. Carrasco had a release clause worth €40m at the start of the season, but the new contract has seen that value rise to €100m. But that is not a problem for the Red Devils, at least according to recent reports. Spanish news outlet Don Balon have claimed that Mourinho is a fan of the versatile Belgian, and is ready to splash the cash on him this summer. With 14 goals and 5 assists to his name this season, Carrasco is one of the most productive wingers in La Liga, and he could walk into the first team next season at Old Trafford. The likes of Anthony Martial and Marcus Rashford have both been used on the left flank this season for Manchester United, but Mourinho might want to spend on a genuine winger, and Carrasco is as good an option as any. But at €100 (£85m), he costs as much as Manchester United’s top transfer target Antoine Griezmann, so it will be interesting to see if Mourinho spends that much on Carrasco at the end of the season.